Medpod is the only browser-based total healthcare ecosystem built completely from the ground up. Our proprietary software platform leverages the latest advancements in live, cloud-based, two-way televideo communications, and integrates live-streaming of HD audio/video, automated data throughput, professional-grade medical devices, health information exchange to EHR, third-party applications and a highly flexible user interface into one game-changing, easy-to-use, care delivery and patient management ecosystem. 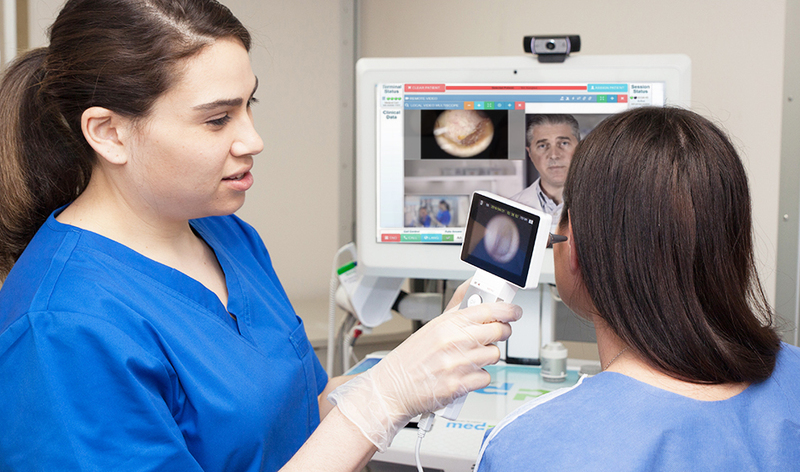 Medpod AMP enables intelligent call routing and network management for more efficient and effective on-demand care. The architecture of theAMP network allows for bandwidth optimization and can be used on both broadband and mobile networks, allowing for a high degree of portability and flexibility. Medpod integrates the most innovative medical apps seamlessly into one comprehensive and customizable practice workflow solution, with Single Sign On (SSO) functionality available. Whether they practice virtual healthcare or not, providers can leverage the Medpod AMP Network to enhance key clinical and administrative procedures — introducing efficiencies and extended capabilities to transform care, improve patient outcomes. The Medpod platform and solutions enable the creation of in-office and remote out-of-office medical access points that comply with federal and local law, FDA, HIPAA and CMS mandates and guidelines. They also adhere to Medical Board requirements, recommendations and best practices that relate to providing and receiving reimbursement for telehealth visits. In states with full parity telemedicine laws, Medpod solutions enable full reimbursement that is on par with face-to-face patient reimbursement rates. The proprietary Medpod AMP platform allows for providers to be anywhere in the world. They can connect remotely with patients through any browser enabled computer, tablet or smartphone. With no download fees nor per-seat fees, any and all providers in an organization can be part of the virtual care team without the hassles and costs normally associated with onboarding new users. Medpod is built on a transaction model, which means you only pay for what you use.